The Irregulars: Should we let ISIS claim just any attack? IS/ISIS/ISIL: What's in a Name? The Enduring Appeal of Awlaqi's "Constants on the Path of Jihad"
New York Times: Has threat from hate groups been overlooked? Did You Hear The One About U.S. Internment Camps? Nearly eight years ago, the Norwegian extremist Anders Behring Breivik set the bar for what an individual terrorist could accomplish—detonating a truck bomb in Oslo that killed eight, then murdering 69 more, mostly teenagers, with semiautomatic weapons in another nearby location. Today, he and the 1,500-word manifesto he published to contextualize his actions are inspiring new extremists to take up violence. A rising tide of extremist movements threaten to destabilize civil societies around the globe. It has never been more important to understand extremism, yet scholars and policy makers can't even define who is an extremist and why. In this volume in the MIT Press Essential Knowledge series, J. M. Berger offers a nuanced introduction to extremist movements, explaining what extremism is, how extremist ideologies are constructed, and why extremism can escalate into violence. 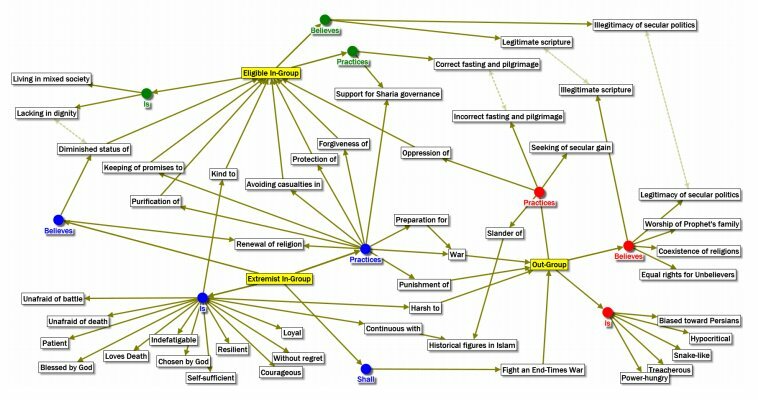 Berger shows that although the ideological content of extremist movements varies widely, there are common structural elements. Using diverse case studies, he describes the evolution of identity movements, individual and group radicalization, and more. If we understand the causes of extremism, and the common elements of extremist movements, Berger says, we will be more effective in countering it. VOX-Pol has released its latest report in the VOX-Pol publication series, titled The Alt-Right Twitter Census: Defining and Describing the Audience for Alt-Right Content on Twitter, authored by J.M. Berger, on 15 October 2018. This report defines and describes the alt-right audience on twitter, and identifies the top ten most influential twitter accounts for the alt-right online. Since 2016, the alt-right have held a significant spot in global politics due to their continually expanding online presence. The report examines this online presence ‘with robust metrics and an analysis of content shared by adherents’, primarily on Twitter. All VOX-Pol reports are open-access. This report is available for download HERE. If you would like to receive a hard copy of the report, please email info@voxpol.eu with your request. Extremism has existed for thousands of years, and it comes in many flavors. It is part of the human experience and not exclusive to any one group. And thanks to a brave new world of instant global connectivity, the problem is perhaps more diverse than ever before. Extremism is a socially transmitted disease, and there are more vectors for infection than at any time in history. While it is tempting to review recent history, and conclude that extremists are somehow “winning the war of ideas,” that isn’t exactly true. Violent extremists march over the bodies of the innocent in an effort to rip societies apart and rebuild them in a darker image. While extremists do sometimes fight each other directly, they rely on the tool of terrorism to aim their fire at the center of society. The immediate effect is to cut down people who are simply trying to live their lives in peace. The ultimate goal is to destroy the center entirely. The London Bridge and Finsbury Park attacks in London this month show that the center is under a symbiotic assault from more than one direction. In a March 2017 paper published by the International Centre for Counter-Terrorism—The Hague, this author introduced a framework for studying the construction of extremist identity through ideological texts. This Report will examine the framework against a historical example of the so-called Islamic State (IS) propaganda to illustrate how messaging strategies can be based on insights derived from the framework and the resulting analysis. The Enduring Appeal of Awlaqi's "Constants of Jihad"
As surely as night follows day, demands to defeat “the ideology” emerge after a terrorist attack, in increasingly urgent tones. After the terrorist attack Saturday night in London, Prime Minister Theresa May offered the latest iteration of that ritual, a refrain heard since the days of George W. Bush. Yet it should be obvious that the West’s obsessive focus on combatting ideology has produced no quantifiably positive results. This International Centre for Counter-Terrorism – The Hague, Counter-Terrorism Strategic Communications Project Research Paper examines how the white supremacist movement Christian Identity emerged from a non-extremist forerunner known as British Israelism. By examining ideological shifts over the course of nearly a century, the paper seeks to identify key pivot points in the movement’s shift toward extremism and explain the process through which extremist ideologues construct and define in-group and out-group identities. Based on these findings, the paper proposes a new framework for analyzing and understanding the behavior and emergence of extremist groups. The proposed framework can be leveraged to design strategic counter-terrorism communications programs using a linkage-based approach that deconstructs the process of extremist in-group and out-group definition. Future publications will continue this study, seeking to refine the framework and operationalize messaging recommendations. Government efforts to counter violent extremist among white nationalists were always symbolic, but the decision to end them is also a powerful symbol of the new administration's wider embrace and empowerment of white nationalism. Twenty experts from think tanks and universities across the United States explore the world’s deadliest movements, their strategies, the future scenarios, and policy considerations. This report reflects their analysis and diverse views, worked out during a series of conferences between August and November 2016. “The Jihadi Threat” reﬂects the broad — and often diverse — views of the coauthors. The United States Institute of Peace was the primary sponsor of this initiative, with the backing of the Woodrow Wilson International Center for Scholars. J.M. Berger contributed to this report on behalf of the International Centre for Counter-Terrorism -- The Hague. J.M. Berger is a fellow with the Counter-Terrorism Strategic Communications (CTSC) Project, led by the International Centre for Counter Terrorism – The Hague, a collaborative project bringing together experts from Europe, the United States and Australia as well as researchers from the Middle East and South Asia. It was set up to tackle one of the most significant national and global security challenges facing the world today: how to understand and confront the propaganda messaging of violent extremists. Through empirical research, based largely on primary source materials and in-country fieldwork, the project aims to test assumptions and evaluate past campaigns in order to develop key principles and guidelines for counter-terrorism strategic communications efforts. Other CTSC fellows and experts include Dr. Alastair Reed, Dr. Haroro J. Ingram, Charlie Winter and Dr. Craig Whiteside. For publications and more information, click here. Donald Trump has become a darling of white nationalists in the United States. He has been endorsed by the nation’s most prominent neo-Nazis and both current and former Klansmen, and he is supported online by a legion of racist and anti-Semitic trolls. The candidate, his son and his surrogates have tweeted white nationalist content, and the RNC even displayed a white nationalist’s tweet during the Republican convention. But it wasn’t always like this. Even after years of championing racially tinged questions about President Barack Obama’s birthplace, as recently as 2015 Trump was treated with disdain and suspicion by most white nationalists. Many claimed he was secretly Jewish, or in thrall to Jewish interests. Others saw him as a blowhard and egomaniac, a mercenary who was out only for himself. This is the story of how Trump won not only their votes but, eventually, their enthusiasm. The John Franklin Letters, the book that inspired The Turner Diaries. Jack London's racist dystopian short story The Unparalleled Invasion. A new paper by J.M. Berger for George Washington University's Program on Extremism finds that white nationalists are thriving on Twitter and outperforming the Islamic State, which has been notorious for its success using social media, in both recruitment and messaging. The paper found that hashtags referring to presidential candidate Donald Trump outperformed almost every other subject. A companion article on INTELWIRE examines the outlook for extremist use of social media and forecasts dangerous times ahead. One of the biggest barriers to designing a comprehensive Countering Violent Extremism (CVE) program is defining its scope. This paper argues for a narrow approach, focusing on disengagement and the disruption of recruitment, a simplified model of radicalization, and concrete themes for disruptive intervention and messaging. After analyzing case studies of disengagement, a specific program of action is recommended. 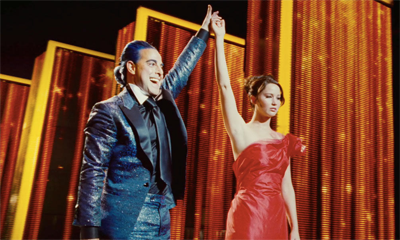 One of the most popular tropes in dystopian fiction is the “violent spectacle.” Immortalized in recent years by The Hunger Games series, the concept is simple: A corrupt society uses some public display or broadcast of violence to manipulate the masses. But it’s never been purely fiction. After years of rumours, Syrian jihadist group Jabhat al Nusra is expected to sever its longstanding affiliation with al Qaeda at any moment. As news of the impending split broke, many questions arose: Was it simply a smokescreen? Would al Qaeda still be pulling al Nusra’s strings? Won’t al Nusra still represent an extremist, violent ideology? Healthy skepticism is definitely called for, but this extraordinary development is far from inconsequential. Even if the ideology remains the same, even if al Qaeda leader Ayman al Zawahiri continues to influence al Nusra’s ranks and its leaders, the shift in allegiance will reverberate around the globe. The public first met Adam Gadahn in October 2004, under the name "Azzam the American," in an Al Qaeda video Q&A that seems almost quaint by today's gruesome standards. Gadahn's real name and strange life story soon emerged. A Jew raised on a California goat farm who dabbled in heavy metal before converting to Islam and subsequently joining Al Qaeda, he became one of the most prominent members of the pantheon of Americans in the terror group. His death closes a chapter. Al Qaeda's array of American recruits once inspired alarm at the highest levels of government; today they are a spent force. They can take our lives, but can they also take our freedom? The Charlie Hebdo assault in Paris last week is only the latest chapter in a months-long series of attacks, which built in turn on a yearlong escalation of concerns about the extraordinary number of Europeans traveling to Syria and Iraq to join the Islamic State, al Qaeda's Syrian affiliate, and a host of other jihadi groups. In a number of recent cases, it's unclear whether jihadist-style attacks were inspired by the Islamic State and its extremist ideology, or whether IS provided a convenient excuse for violence that was already brewing in the hearts of the perpetrators. In a groundbreaking study for the Brookings Institution's Project on U.S. Relations with the Islamic World, , J.M. Berger and Jonathon Morgan identified 20,000 ISIS-supporting Twitter accounts and analyzed their characteristics, profiles, locations and tweeting activity. The study estimates a minimum of 46,000 ISIS-supporting accounts were active in October and November 2014, and provides data and insights on how the suspension of thousands of accounts have impacted the performance of the network. For more reporting on ISIS and its use of media, read ISIS: The State of Terror, the new book by J.M. Berger and Jessica Stern, on sale everywhere. Click for information on custom social analytics. Through the analysis of thousands of Twitter accounts following prominent white nationalists and anarchists, "Who Matters Online: Measuring influence, Evaluating Content and Countering Violent Extremism in Online Social Networks" offers new quantitative tools to identify highly engaged extremists in large social networks and to evaluate tactics for combating violent extremism (CVE) online. Authored by ICSR Associate Fellow J.M. 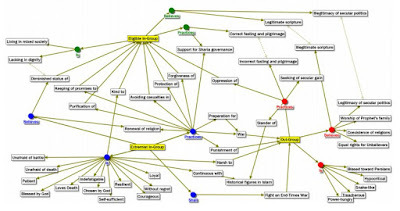 Berger and Bill Strathearn, Who Matters Online: Measuring influence, Evaluating Content and Countering Violent Extremism in Online Social Networks demonstrates how quantitative analysis can identify highly engaged extremists in large social networks. In addition to writing for the media, Berger consults for and trains private companies and government agencies on issues related to homegrown terrorism, online extremism, foreign fighters and advanced social media analysis. He has lectured at Harvard University, American University, the Fletcher School of Law and Diplomacy at Tufts University and Utrecht University, the Netherlands. History of jihadist terrorism in the U.S.
History of right-wing extremism in the U.S.